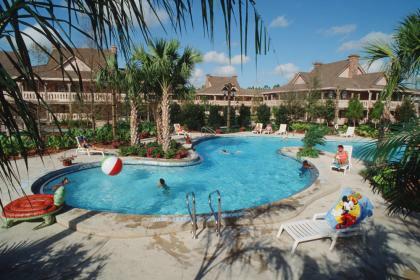 Disney’s Value Resorts are full of larger-than-life theming and are big on everything but price. Your clients can expect to be completely immersed in the magic of Disney from the moment they arrive at their Resort. They will be able to enjoy themed pools, convenient grab and go food courts, complimentary bus service to all the parks and more. Family suites are available for parties of up to six at Disney’s All-Star Resort and Disney Art of Animation Resort. All Value Resorts can accommodate 4 or 6 guests plus 1 infant in a crib. Typical rooms are 260 square feet. Story Rooms* available at Disney’s Art of Animation Resort. *Disney Story Rooms allow guests to stay and play at Walt Disney World. These rooms have strong Disney theming designed to transport families into the fantasy and adventure from the comfort of their private rooms. Pizza delivery service available to all rooms. Bus service is available to all Walt Disney World Resort areas. 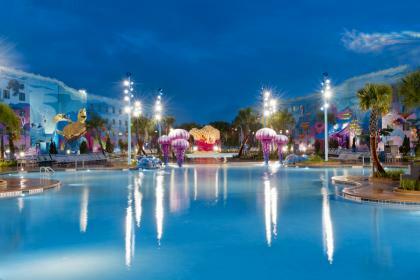 Disney’s Moderate Resorts surround your guests in wonderfully exotic themed locales. All-time favourites will be available from the variety of full-service restaurants and food courts. They will be able to experience themed pool areas complete with slides, as well recreation activities including cycling, boating, fishing and much more. All Moderate Resorts can accommodate 4 or 5 guests plus 1 infant in a crib. Typical rooms are 341 square feet. Story Rooms* available at Disney’s Caribbean and Disney’s Port Orleans Riverside Resorts. Quick Service and food court dining options. Meal and pizza delivery service available to all rooms. Water launch service to select areas. 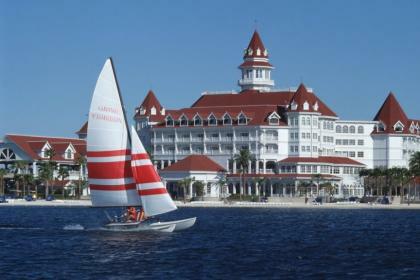 Disney’s Deluxe Resort Hotels offer extraordinary service in spectacular settings and are always in close promitity to a Disney Theme Park. Your clients will be able to enjoy lots of luxuries with everything including pools with slides to award-winning cuisine and enchanting Disney Character Dining. All Deluxe Resorts can accommodate four or five guests plus one infant in a crib. Typical rooms are 344-440 square feet. 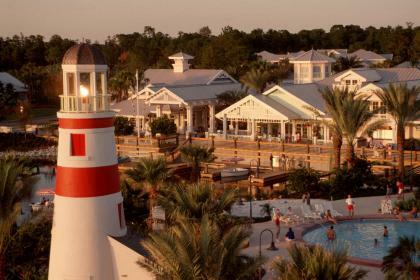 Guests can select Club Level accommodations when staying at one of Disney’s Deluxe Resorts. Typically Club Level will include personalised concierge service, and lounge with continental breakfast, midday snacks and evening wine, hors d’oeuvres, cordials and dessert. Choice of between one and four Casual Dining restaurants. Character dining available on-site at some resorts. Water launch service from some resorts to various destinations. Monorail service from selected resorts. Disney’s Deluxe Villa accommodation offers guests a home away from home with a little added Disney charm, service and magic. They can enjoy brilliantly themed pool areas with slides, full service restaurants and great recreational options. One-bedroom villas sleep up to either 4 or 5 guests. Two-bedroom villas sleep up to either 8 or 9 guests. Both one and two bedroom villas offer separate sleeping and living areas, as well as the added convenience of a kitchen. Deluxe studios include kitchenettes. Villa Resorts can accommodate 4, 5, 8, 9 or 12 guests plus 1 infant in a crib. Typical room sizes vary by accommodation. Kitchen / kitchenettes available in room. Additional dining options available depending on resort.